Skip a Payment with Midwest Community! 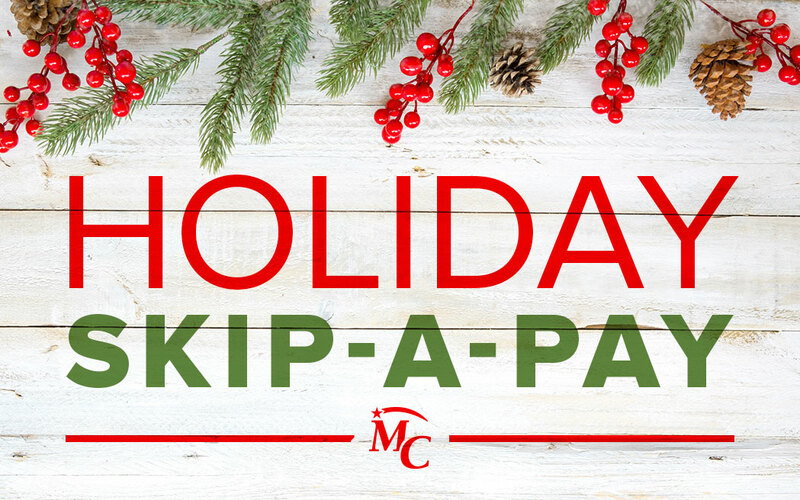 Midwest Community Federal Credit Union’s Skip-A-Payment program makes it easy to find the cash you need during the holidays! Simply choose an MCFCU loan payment for either November or December and skip it! For a low $35 processing fee, you can fill out a Skip-A-Payment Form online and submit it, or stop by and fill one out at any of our convenient locations. Questions? Call us at 419-783-6500!